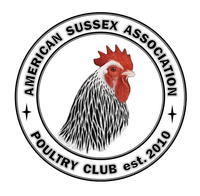 As a member of the American Sussex Association, you are entitled to listing within the Breeders Directory and access to the club newsletter. Please fill out this form as completely and accurately as possible for club records. The information you submit here will be used for your entry in the Breeders Directory, and allow us to send you important information via email and postal mail including but not limited to Newsletter Editions, club updates, and renewal notices. When you complete the form, press "Submit" and the form will be mailed directly to the Club Secretary. The Breeders Directly is updated monthly and it may take up to 30 days to see your entry published. *You are not an official member of The American Sussex Association without first paying for your membership.